OW2 is an independent open source community committed to making available to everyone the best and most reliable enterprise computing infrastructure software, including middleware, application platforms and cloud computing technologies. The mission of the OW2 Consortium is to develop a code base of open source software and to foster a vibrant community and business ecosystem. OW2 was initiated on January 1, 2007 through the merger of ObjectWeb and Orientware, two leading open source middleware communities consisting of renowned industry IT corporations, innovative start-ups, prominent academic organizations and individuals from across the world. 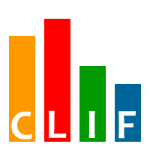 CLIF is an open load testing platform, including: load injectors, for generating traffic (a variety of protocols are supported such as HTTP, FTP, SIP...), and probes, for measuring resource usage (processor, memory, network...). CLIF comes with test supervision features (including monitoring of response times, throughput, error rate, computing resources consumption), and analysis tools. Both command-line and graphical user interfaces are provided, including Eclipse plug-ins. CLIF is extensible through Java programming (new injectors, new probes).